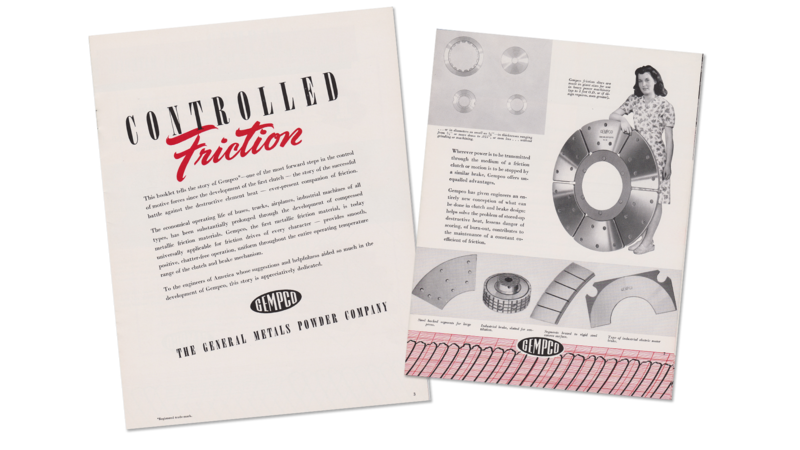 GMP Friction Products develops high-performance friction materials for controlling, stopping, or transmitting power. If you can’t find just what you need in our extensive portfolio of niche products, we will work to create a custom solution for your application—no project too large, no project too small. Ever since we patented our sintered metallic friction materials, we’ve been building a reputation for innovation, with ground-breaking solutions to many complex challenges over the years. 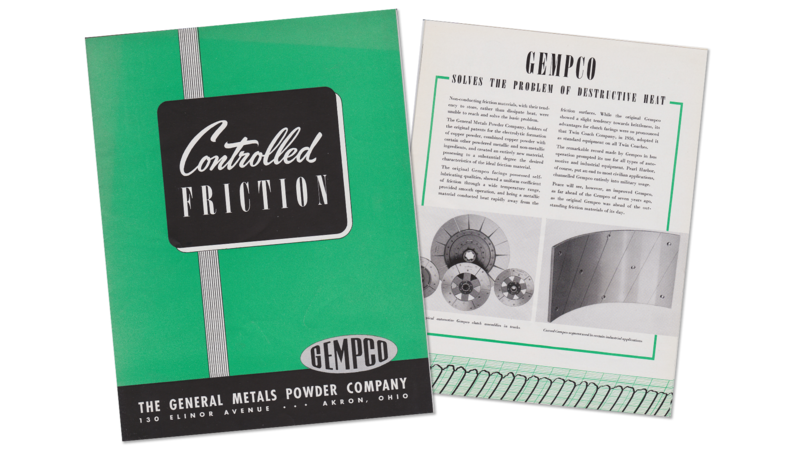 General Metals Powder Company (GEMPCO) was born when our founder, John Fisher, patented a unique copper powder manufacturing process in the 1930’s. Our first application was friction clutch plates for city buses, and by 1936, Twin Coaches Company had made GEMPCO friction materials standard on all its buses. 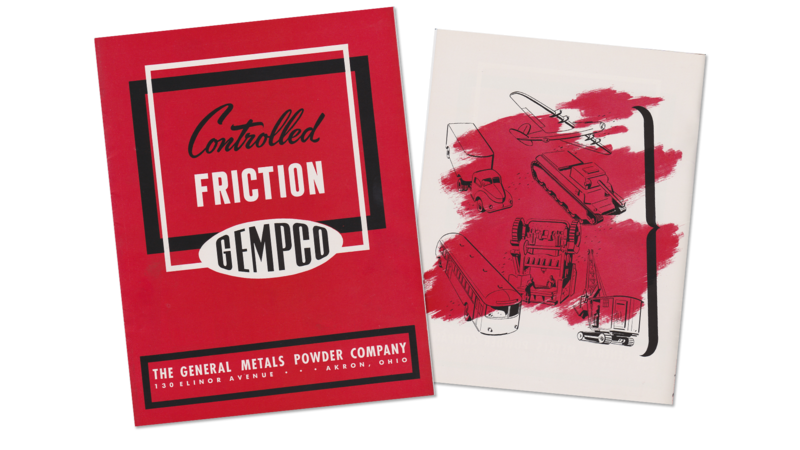 During WWII, GEMPCO formulated a special-grade copper powder for aircraft starter and generator brushes, as well as friction discs that became an industry standard. GEMPCO continued to develop new sintered metallic friction materials and creative products. With sales across the globe, we now ship to nearly every continent. We work proactively on continuous improvement of our friction materials through ongoing research and development and remain a pioneer in the global friction market. With our advanced testing machines, we can simulate the most rigorous conditions in both wet and dry applications. And our vertically integrated facility means lower costs and better value for you. In addition to our top-notch products, we offer highly valuable services too. 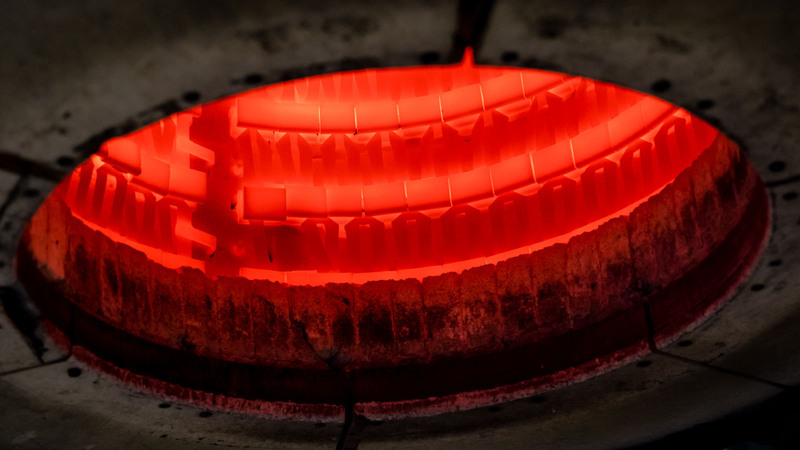 With decades of expertise in friction metals, our highly skilled and experienced engineers are ready to collaborate with you in creating the parts you need and help your design reach its full potential. We have a variety of prototyping services for clutches and brakes available, and we can accommodate short deadlines. With our in-house dynamometers, we have testing capabilities for wet friction and dry braking materials. When our in-house capabilities fall short, we partner with accredited labs for a diverse range of dynamometer and material testing analysis.